Acquire, the developer of the PSP title Class of Heroes, has just announced their new game for the Playstation Vita. MIND≒0 is a dungeon crawler that takes place in both the real world and the mental world. 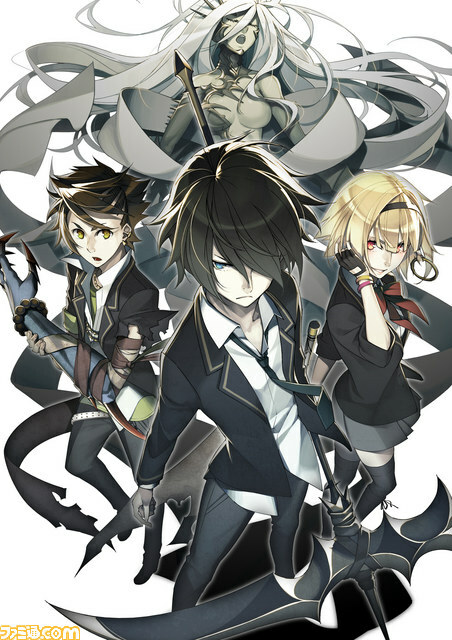 Not much information is known right know, but it seems like the main setting for the real world is the player’s school, with other scenes also taking place in popular areas around Tokyo, while the mental world is where the characters can summon their MIND (Mental Inside Nobody Doll) to do battle against monsters. I kid you not, that’s what they’re actually called. If this is starting to sound a little familiar then don’t worry, you’re not the only one who thinks so. From the character designs and the location of party member portraits outside of battle to the comic-like font used in battle for sound effects and the summoning of Mental Inside Nobody Dolls (I’m sorry, I can’t say that enough), this game definitely feels like it’s trying to reproduce the same kind of style we see in the Persona series. Could this be because of Persona 4: The Golden’s success on the handheld? Regardless, the game is said to be about 70% complete and, with an intended summer release for Japan, we shouldn’t have to wait too long to see how closely this may or may not resemble the beloved franchise. The gallery after the jump has several pieces of character art and screenshots from the game in case you’re interested in seeing all the similarities. This entry was posted in Gaming News and tagged acquire, jrpg, Mental Inside Nobody Doll, MIND≒0, Not Persona, playstation vita on March 20, 2013 by Prota.